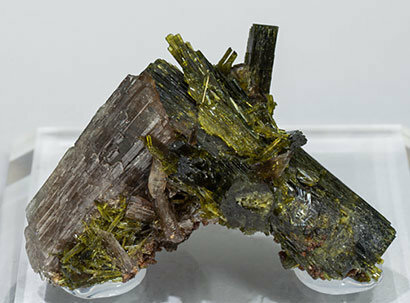 Group of very acute crystals whose habit is very different from the Axinite-(Fe) from another Russian locality and the French locality. The luster is excellent and the color is very deep. The group is on matrix. 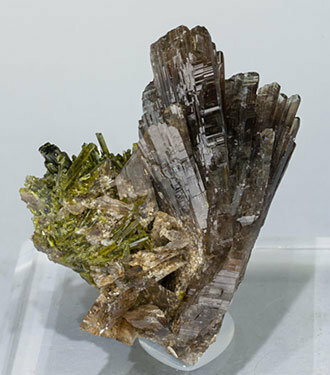 The crystal, from an uncommon locality, is on matrix and, even being poorly defined, it is of the species Axinite-(Mn), considerably less common than Axinite-(Fe). The specimen is with a label from John S. Albanese, that will be sent to the buyer. Aggregates of very sharp Axinite-(Mn) crystals with notably curved growing forms, whose shape is very different than the Axinite-(Fe) from other Russian and French samples. 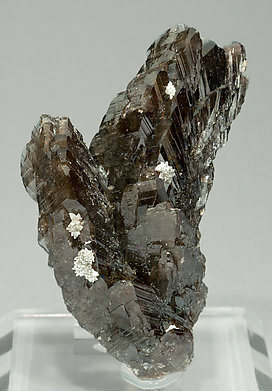 The crystals have an excellent luster and a very deep and uniform brown color. A novelty at Tucson 2016. 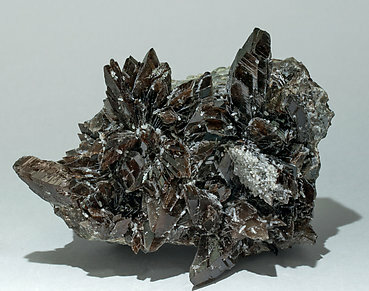 Aggregates of very sharp brown-colored Axinite crystals, some of them doubly terminated, between transparent and translucent, very bright and on matrix, with Epidote crystals. We have two different analysis, so we will send copy of both analysis to the buyer. A novelty at Tucson 2016. 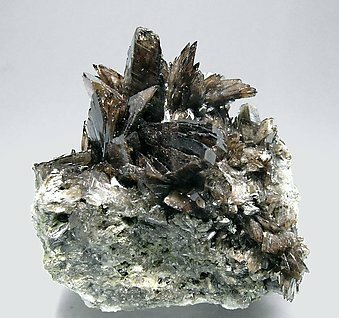 Very sharp Axinite-(Mn) crystals, some of them doubly terminated. 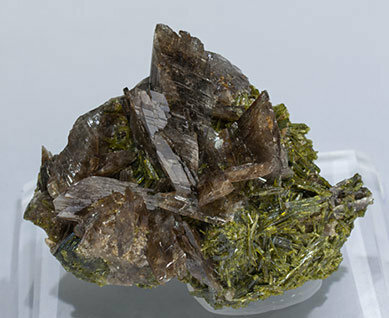 They are between transparent and translucent, very bright, and are on matrix with Epidote crystals. We have two different analyses, so we will send copies of both analyses to the buyer. 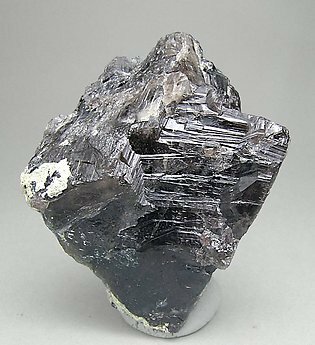 Group, on matrix, of very sharp and acute crystals whose habit is very different from the Axinite-(Fe) from other Russian, French or Pakistani localities. Their brightness is excellent and they have a very deep color.